A day late, this was expected yesterday, as can be seen in the Iranian prediction calendar. 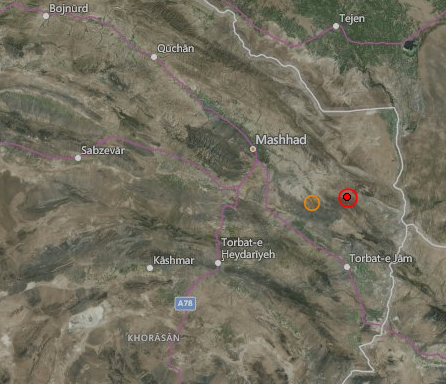 5.1R strong and only 2km deep earthquake near Torbat-e-Jam. No other news yet.